— trong thai mẹ, trong vòng mười tháng, trăm phần toàn vẹn, mới đến ngày sinh, nếu là con hiếu, chắp tay thu hình thuận lối mà ra, không đau lòng mẹ, nếu là con bạc, giẫy dụa bãi bơi, khiến đau lòng mẹ; buốt chói từng hồi, như đâm như xỉa, như cấu như cào, như nghìn mũi dao, đâm vào gan ruột, đau đớn vô cùng, nói sao cho xiết, sinh được thân nầy, mừng thay vui thay, yêu thay dấu thay ! of Parents and the Difficulty in Repaying it. Thus I have heard, at one time, the Buddha dwelt at Shravasti, in the Jeta Grove, in the Garden of the Benefactor of Orphans and the Solitary, together with a gathering of great Bhikshus, twelve hundred fifty in all and with all of the Bodhisattvas, thirty-eight thousand in all. At that time, the World Honoured One led the great assembly on a walk toward the south. Suddenly they came upon a pile of bones beside the road. The World Honoured One turned to face them, placed his five limbs on the ground, and bowed respectfully. Ananda put his palms together and asked the World Honoured One, "The Tathagata is the GreatTeacher of the Triple Realm and the compassionate father of beings of the four kinds of births. He has the respect and reverence of the entire assembly. What is the reason that he now bows to a pile of dried bones? The Buddha told Ananda, "Although all of you are my foremost disciples and have been members of the Sangha for a long time, you still have not achieved far-reaching understanding. This pile of bones could have belonged to my ancestors from former lives. They could have been my parents in many past lives. That is the reason I now bow to them." The Buddha continued speaking to Ananda, "These bones we are looking at can be divided into two groups. One group is composed of the bones of men, which are heavy and white in color. The other group is composed of the bones of women, which are light and black in color." Ananda said to the Buddha, "World Honoured One, when men are alive in the world, they adorn their bodies with robes, belts, shoes, hats and other fine attire, so that they clearly assume a male appearance. When women are alive, they put on cosmetics, perfumes, powders, and elegant fragrances to adorn their bodies, so that they clearly assume a female appearance. Yet, once man and women die, all that is left are their bones. How does one tell them apart? Please teach us how you are able to distinguish them." The Buddha answered Ananda, "If when men are in the world, they enter temples, listen to explanations of Sutras and Vinaya texts, make obeisance to the Triple Gem, and recite the Buddha's names, then when they die, their bones will be heavy and white in colour. Most women in the world have little wisdom and are saturated with emotion. They give birth to and raise children, feeling that this is their duty. Each child relies on its mother's milk for life and nourishment, and that milk is a transformation of the mother's blood. Each child can drink up to one thousand two hundred gallons of its mother's milk. Because of this drain on the mother's body whereby the child takes milk for its nourishment, the mother becomes worn and haggard and so her bones turn black in colour and are light in weight." When Ananda heard these words, he felt a pain in his heart as if he had been stabbled and wept silently. He said to the World Honoured One, "How can one repay one's mother's kindness and virtue?" The Buddha told Ananda, "Listen well, and I will explain it for you in detail. The fetus grows in its mother's womb for ten lunar months. What bitterness she goes though while it dwells there! In the first month of pregnancy, the life of the fetus is as precarious as a dewdrop on grass: how likely that it will not last from morning to evening but will evaporate by midday!" "During the second lunar month, the embryo congeals like curds. In the third month it is like coagulated blood. During the fourth month of pregnancy, the fetus begins to assume a slightly human form. During the fifth month in the womb, the child's five limbs- two legs, two arms, and a head- start to take shape. In the sixth lunar month of pregnancy, the child begins to develop the essences of the six sense faculties: the eyes, ears, nose, tongue, body and mind. During the seventh month, the three hundred sixty bones and joints are formed, and the eighty-four thousand hair pores are also complete. In the eight lunar month of the pregnancy, the intellect and the nine apertures are formed. By the ninth month the fetus has learned to assimilate the different nutrients of the foods it eats. For example, it can assimilate the essence of peaches, pears, certain plant roots and the five kinds of grains." "Inside the mother's body, the solid internal organs used for storing hang downward, while the hollow internal organs used for processing, spiral upward. These can be likened to three mountains, which arise from the face of the earth. We can call these mountains Mount Sumeru, Karma Mountain, and Blood Mountain. These analogous mountains come together and form a single range in a pattern of upward peaks and downward valleys. So too, the coagulation of the mother's blood from her internal organs forms a single substance, which becomes the child's food." "During the tenth month of pregnancy, the body of the fetus is completed and ready to be born. If the child is extremely filial, it will emerge with palms joined together in respect and the birth will be peaceful and auspicious. The mother will remain uninjured by the birth and will not suffer pain. However, if the child is extremely rebellious in nature, to the extent that it is capable of committing the five rebellious acts*, then it will injure its mother's womb, rip apart its mother's heart and liver, or get entangled in its mother's bones. The birth will feel like the slices of a thousand knives or like ten thousand sharp swords stabbing her heart. Those are the agonies involved in the birth of a defiant and rebellious child." The sixth is the kindness of suckling the child at her breast, nourishing and bringing up the child. The eight is the kindness of always thinking of the child when it has traveled far. Until in this life the child ends up in its Mother's womb. And during each day drowsy and sluggish. And without complain she swallows the bitter herself. The compassionate mother doesn't speak of her own hunger. So that the child can be dry. But her kindness is so deep she will forgo a beautiful face. Bit by bit her heart is broken. How heavy is parental kindness and emotional concern! Willingly they undergo suffering on their child's behalf. Even a moment's pain suffered by their sons and daughters. Their tender concern never cease. She will constantly worry about her eighty year old child. It doesn't even begin to dissipate until her life is over! The Buddha told Ananda, "When I contemplate living beings, I see that although they are born as human beings, nonetheless, they are ignorant and dull in their thoughts and actions. They don't consider their parents' great kindness and virtue. They are disrespectful and turn their backs on kindness and what is right. They lack humaneness and are neither filial nor compliant." "For ten months while the mother is with child, she feels discomfort each time she rises, as if she were lifting a heavy burden. Like a chronic invalid, she is unable to keep her food and drink down. When the ten months have passed and the time comes for the birth, she undergoes all kinds of pain and suffering so that the child can be born. She is afraid of her own mortality, like a pig or lamb waiting to be slaughtered. Then the blood flows all over the ground. These are the sufferings she undergo." "Once the child is born, she saves what is sweet for him and swallows what is bitter herself. She carries the child and nourishes it, washing away its filth. There is no toil or difficulty that she does not willingly undertake for the sake of her child. She endures both cold and heat and never even mentions what she has gone through. She gives the dry place to her child and sleeps in the damp herself. For three years she nourishes the baby with milk, which is transformed from the blood of her own body." "Parents continually instruct and guide their children in the ways of propriety and morality as the youngsters mature into adults. They arrange marriages for them and provide them with property and wealth or devise ways to get it for them. They take this responsibility and trouble upon themselves with tremendous zeal and toil, never speaking about their care and kindness." "When a son or daughter become ill, parents are worried and afraid to the point that they may even grow ill themselves. They remain by the child's side providing constant care, and only when the child gets well are the parents happy once again. In this way, they care for and raise their children with the sustained hope that their offspring will soon grow to be mature adults." "How sad that all too often the children are unfilial in return! In speaking with relatives whom they should honour, the children display no compliance. When they ought to be polite, they have no manners. They glare at those whom they should venerate, and insult their uncles and aunts. They scold their siblings and destroy any family feeling that might have existed among them. Children like that have no respect of sense of propriety." "Children may be well taught, but if they are unfilial, they will not heed the instructions or obey the rules. Rarely will they rely upon the guidance of their parents. They are contrary and rebellious when interacting with their brothers. They come and go from home without ever reporting to their parents. Their speech and actions are very arrogant and they act on impulse without consulting others. Such children ignore the admonishments and punishments set down by their parents and pay no regard to their uncles' warnings. Yet, at the same time, they are immature and always need to be looked after and protected by their elders." "As such children grow up, they become more and more obstinate and uncontrollable. They are entirely ungrateful and totally contrary. They are defiant and hateful, rejecting both family and friends. They befriend evil people and under influence, soon adopt the same kinds of bad habits. They come to take what is false to be true." "Such children may be enticed by others to leave their families and run away to live in others towns, thus denouncing their parents and rejecting their native town. They may become businessmen or civil servants who languish in comfort and luxury. They may marry in haste, and that new bond provides yet another obstruction which prevents them from returning home for long periods of time." "Or, in going to live in other towns, these children may be incautious and find themselves plotted against or accused of doing evil. They may be unfairly locked up in prison or they may meet with illness and become enmeshed in disasters and hardships, subject to the terrible pain of poverty, starvation, and emaciation. Yet no one there will care for them. Being scorned and disliked by others, they will be abandoned on the street. In such circumstances, their lives may come to an end. No one bothers to try to save them. Their bodies swell up, rot, decay, and are exposed to the sun and blown away by the wind. The bones entirely disintegrate and scatter as these children come to their final rest in the dirt of some other town. These children will never again have a happy reunion with their relatives and kin. Nor will they ever know how their ageing parents mourn for and worry about them. The parents may grow blind from weeping or become sick from extreme grief and despair. Constantly dwelling on the memory of their children, they may pass away, but even when they become ghosts, their souls still cling to this attachment and are unable to get it go." "Others of these unfilial children may not aspire to learning, but instead become interested in strange and bizarre doctrines. Such children may be villainous, coarse and stubborn, delighting in practices that are utterly devoid of benefit. They may become involved in fights and thefts, setting themselves at odds with the town by drinking and gambling. As if debauchery were not enough, they drag their brothers into it as well, to the further distress of their parents." "If such children do live at home, they leave early in the morning and do not return until late at night. Never do they ask about the welfare of their parents or make sure that they don't suffer from heat or cold. They do not inquire after their parents' well being in the morning or the evening, nor even on the first and fifteenth of the lunar month. In fact, it never occurs to these unfilial children to ever ask whether their parents have slept comfortably or rested peacefully. Such children are simply not concerned in the least about their parents' well being. When the parents of such children grow old and their appearance becomes more and more withered and emaciated, they are made to feel ashamed to be seen in public and are subjected to abuse and oppression." 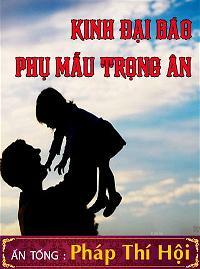 "Such unfilial children may end up with a father who is a widower or a mother who is a widow. The solitary parents are left alone in empty houses, feeling like guests in their own homes. They may endure cold and hunger, but no one takes heed of their plight. They may weep incessantly from morning to night, sighing and lamenting. It is only right that children should provide for ageing parents with food and drink of delicious flavours, but irresponsible children are sure to overlook their duties. If they ever do attempt to help their parents in any way, they feel embarrassed and are afraid people will laugh at them. Yet, such offspring may lavish wealth and food on their own wives and children, disregarding the toil and weariness involved in doing so. Other unfilial offspring may be so intimidated by their wives that they go along with all of their wishes. But when appealed to by their parents and elders, they ignore them and are totally unfazed by their pleas." "It may be the case that daughters were quite filial to their parents before their own marriages, but they may become progressively rebellious after they marry. This situation may be so extreme that if their parents show even the slightest signs of displeasure, the daughters become hateful and vengeful toward them. Yet they bear their husband's scolding and beatings with sweet tempers, even though their spouses are outsiders with other surnames and family ties. The emotional bonds between such couples are deeply entangled, and yet these daughters hold their parents at a distance. They may follow their husbands and move to other towns, leaving their parents behind entirely. They do not long for them and simply cut off all communication with them. When the parents continue to hear no word from their daughters, they feel incessant anxiety. They become so fraught with sorrow that it is as if they were suspended upside down. Their every thought is of seeing their children, just as one who is thirsty longs for something to drink. Their kind thoughts for their offspring never cease." "The virtue of one's parents' kindness is boundless and limitless. If one has made the mistake of being unfilial, how difficult it is to repay that kindness!" At that time, upon hearing the Buddha speak about the depth of one's parents kindness, everyone in the Great Assembly threw themselves on the ground and began beating their breasts and striking themselves until their hair pores flowed with blood. Some fell unconscious to the ground, while others stamped their feet in grief. It was a long time before they could control themselves. With loud voices they lamented, "Such suffering! What suffering! How painful! How painful! We are all offenders. We are criminals who have never awakened, like those who travel in a dark night. We have just now understood our offenses and our very insides are torn to bits. We only hope that the World Honoured One will pity and save us. Please tell us how we can repay the deep kindness of our parents!" At the time the Tathagata used eight kinds of profoundly deep and pure sounds to speak to the assembly. "All of you should know this. I will now explain for you the various aspects of this matter." "If there were a person who carries his father on his left shoulder and his mother on his right shoulder until his bones were ground to powder by their weight as they bore through to the marrow, and if that person were to circumambulate Mount Sumeru for a hundred thousand kalpas until the blood that flowed out covered his ankles, that person would still not have repaid the deep kindness of his parents." "If there were a person who, during the period of a kalpa fraught with famine and starvation, sliced the flesh off his own body to feed his parents and did this as many times as there are dust motes as he passed through hundreds of thousand of kalpas, that person still would not have repaid the deep kindness of his parents." "If there were a person who, for the sake of this parents, took a sharp knife and cut his eyes and made an offering of them to the Tathagatas, and continued to do that for hundreds of thousands of kalpas, that person still would not have repaid the deep kindness of his parents." "If there a person who, for the sake of this father and mother, used a sharp knife to cut out his heart and liver so that the blood flowed and covered the ground and if he continued in this way to do this for hundreds of thousands of kalpas, never once complaining about the pain, that person still would not have repaid the deep kindness of his parents." "If there were a person who, for the sake of his parents, took a hundred thousand swords and stabbed his body with them all at once such that they entered one side and came out the other, and if he continued in this way to do this for hundreds of thousands of kalpas, that person still would not have repaid the deep kindness of his parents." "If there were a person who, for the sake of his parents, beat his bones down to the marrow and continued in this way to do this way to do this for hundreds of thousands of kalpas, that person still would not have repaid the deep kindness of his parents." "If there were a person who, for the sake of this parents, swallowed molten iron pellets and continued in this way to do this for hundreds of thousands of kalpas, that person still would not have repaid the deep kindness of his parents." At that time, upon hearing the Buddha speak about the kindness and virtue of parents, everyone in the Great Assembly wept silent tears and felt searing pain in their hearts. They reflected deeply, simultaneously brought forth shame and said to the Buddha, "World Honoured One, how can we repay the deep kindness of our parents?" The Buddha replied, "Disciples of the Buddha, if you wish to repay your parents' kindness, write out this Sutra on their behalf. Recite this Sutra on their behalf. Repent of transgressions and offenses on their behalf. For the sake of your parents, make offerings to the Triple Gem. For the sake of your parents, hold the precept of pure eating. For the sake of your parents, practise giving and cultivate blessings. If you are able to do these things, you are being a filial child. If you do not do these things, you are a person destined for the hells." The Buddha told Ananda, "If a person is not filial, when his life ends and his body decays, he will fall into, the great Avici Hell. This great hell is eighty thousand yojanas in circumference and is surrounded on all four sides by iron walls. Above, it is covered over by nets, and the ground is also made of iron. A mass of fire burns fiercely, while thunder roars and bright bolts of lightning set things afire. Molten brass and iron fluids are poured over the offenders' bodies. Brass dogs and iron snakes constantly spew out fire and smoke which burns the offenders and broils their flesh and fat to a pulp." "Oh, such suffering! Difficult to take, difficult to bear! There are poles, hooks, spears, and lances, iron halberds and iron chains, iron hammers and iron awls. Wheels of iron knives rain down from the air. The offender is chopped, hacked, or stabbed, and undergoes these cruel punishments for kalpas without respite. Then they enter the remaining hells, where their heads are capped with fiery basins, while iron wheels roll over their bodies, passing both horizontally and vertically until their guts are ripped open and their bones and flesh are squashed to a pulp. Within a single day, they experience myriad births and myriad deaths. Such sufferings are a result of committing the five rebellious acts and of being unfilial when one was alive." At that time, upon hearing the Buddha speak about the virtue of parents' kindness, everyone in the Great Assembly wept sorrowfully and addressed the Tathagata, "On this day, how can we repay the deep kindness of our parents?" The Buddha said, "Disciples of the Buddha, if you wish to repay their kindness, then for the sake of your parents, print this Sutra. This is truly repaying their kindness. If one can print one copy, then one will get to see one Buddha. If one can print ten copies, then one will get to see ten Buddhas. If one can print one hundred copies, then one will get to see one hundred Buddhas. If one can print one thousand copies, then one will get to see one thousand Buddhas. If one can print ten thousand copies, then one will get to see ten thousand Buddhas. This is the power derived when good people print Sutras. All Buddhas will forever protect such people with their kindness and their parents can be reborn in the heavens to enjoy all kinds of happiness, leaving behind the sufferings of the hells." At that time, Ananda and the rest of the Great Assembly the asuras, garudas, kinnaras, mahoragas, people, non-people, and others, as well as the gods, dragons, yakshas, gandarvas, wheel-turning sage kings, and all the lesser kings, felt all the hairs on their bodies stand on their ends when they heard what the Buddha had said. They wept grievously and were unable to stop themselves. Each one of them made a vow saying, "All of us, from now until the exhaustion of the bounds of the future, would rather that our bodies be pulverised into small particles of dust for a hundred thousand kalpas, than to ever go against the Tathagata's sagely teachings. We would rather that our tongues be plucked out, so that they would extend for a full yojana, and that for a hundred thousand kalpas an iron plough run over them; we would rather have a hundred thousand bladed wheel roll freely over bodies, than to ever go against the Tathagata's sagely teachings. We would rather that our bodies be ensnared in an iron net for a hundred thousand kalpas, than to ever go against the Tathagata's sagely teachings. We would rather that for a hundred thousand kalpas our bodies be chopped, hacked, mutilated, and chiseled into ten million pieces, so that our skin, flesh, joints, and bones would be completely disintegrated, than to ever go against the Tathagata's sagely teachings." At that time, Ananda, with a dignity and a sense of peace, rose from his seat and asked the Buddha, "World Honoured One, what name shall this Sutra have when we accord with it and uphold it?" The Buddha told Ananda, "This Sutra is called THE SUTRA ABOUT THE DEEP KINDNESS OF PARENTS AND THE DIFFICULTY OF REPAYING IT. Use this name when you accord with it and uphold it." At that time, the Great Assembly, the gods, humans, asuras, and the others, hearing what the Buddha has said, were completely delighted. They believed the Buddha's teaching, received it, and offered up their conduct in accord with it. Then they bowed respectfully to the Buddha, before withdrawing.